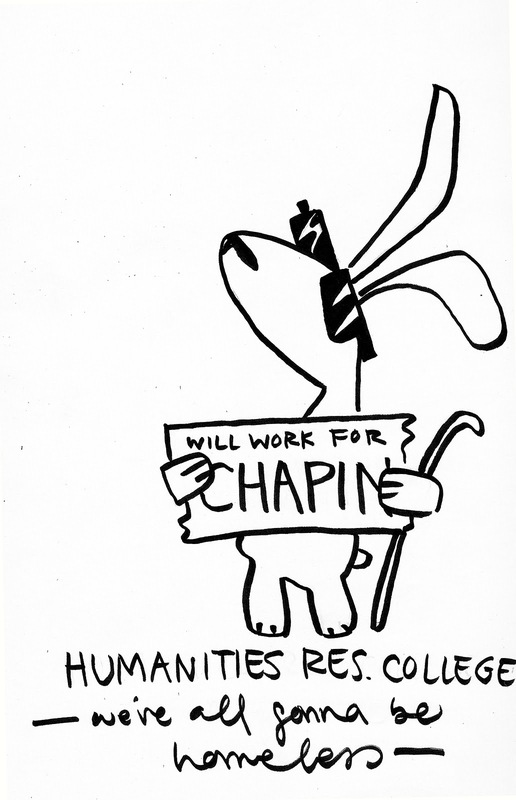 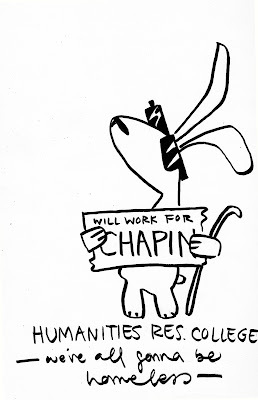 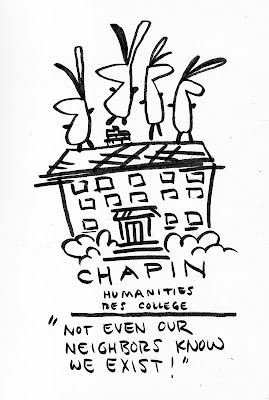 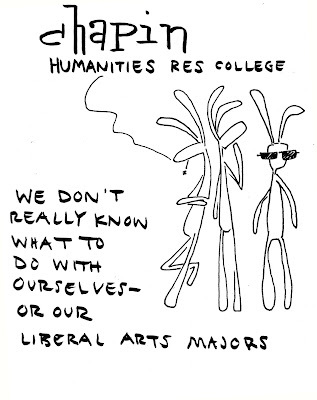 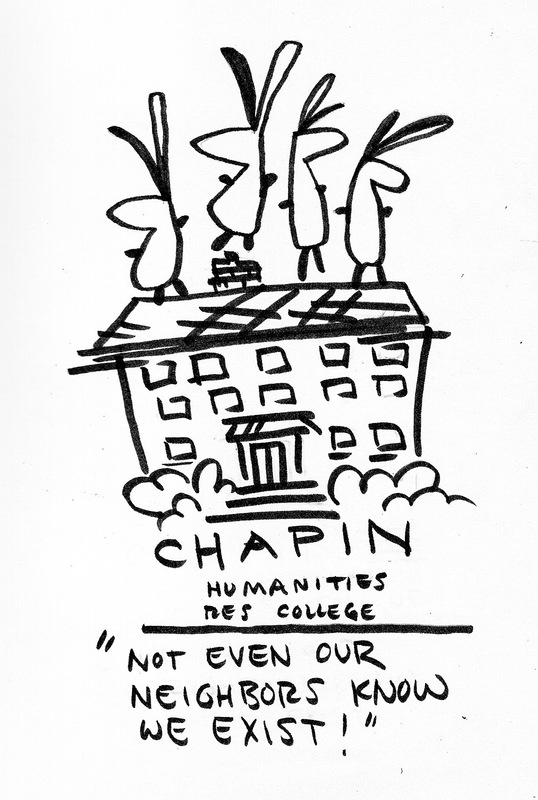 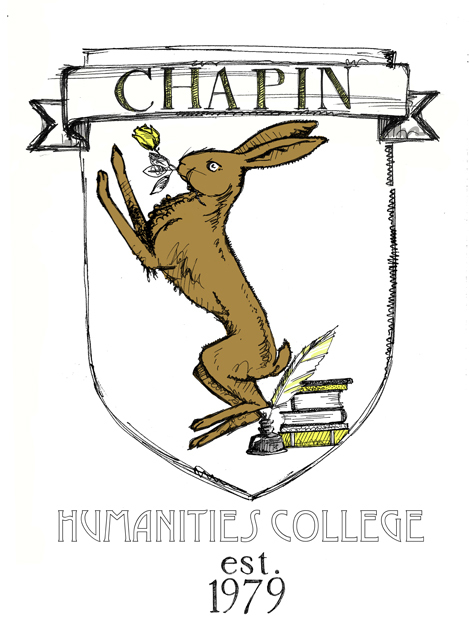 Chapin Humanities Residential College was my home for my first two years at Northwestern. 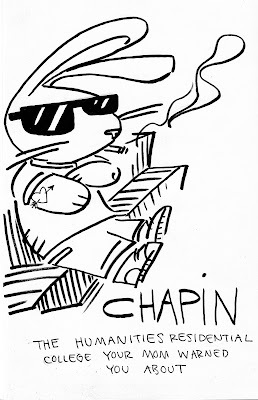 My friend and then-president of Chapin, Tommy Rousse, wanted to get us tshirts and decided we needed some kind of symbolic crest to put on these shirt. 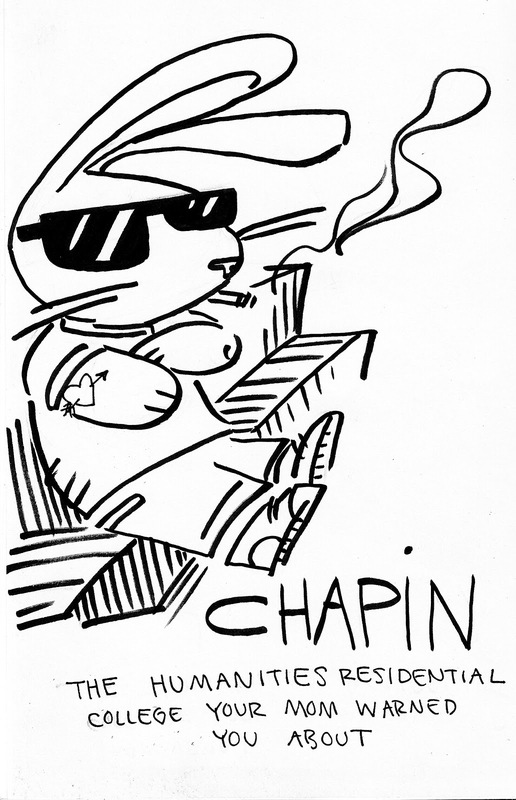 He asked me to draw something up - I included bonus promotional doodles. 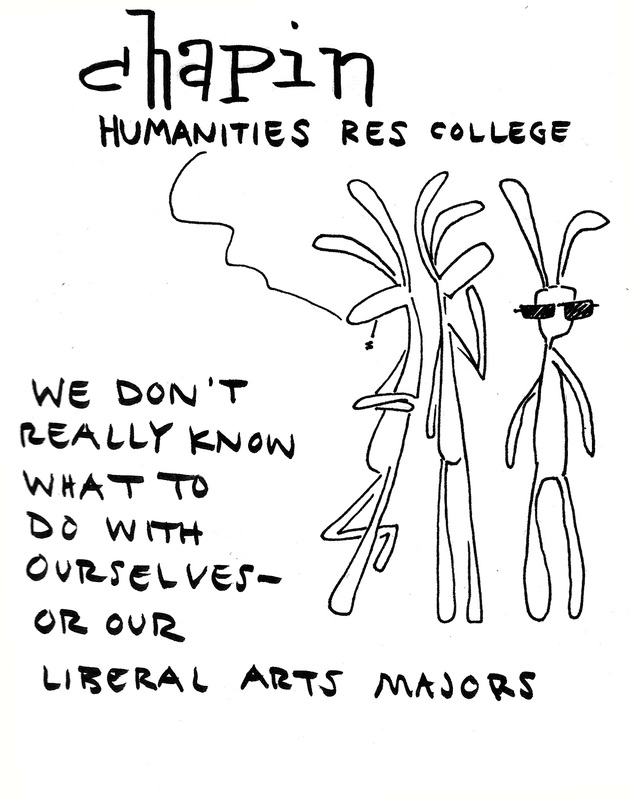 We were very proud of ourselves & also mostly unheard of.